Windows 11 Updates: Will There Be A Next Version of Windows 10? Win 12? Windows 11 Release Date: The time is coming when people would be able to switch to a better Win OS. Windows 10 has brought many great features with it. Now, it’s the time for unveiling the upcoming version of Windows by Microsoft. Over the last half year, the rumors about the Windows 11 / 12 exist in the market. Many estimations have been calculated from the release date of the upcoming Windows. Some reports show that the Windows 10 is the last Operating system from Microsoft and some reports show the features of the Windows 11. People were always excited and optimistic about the launch of the new Windows. Update (June/July 2018): Microsoft is still busy in providing updates to Windows 10. It seems to have no plans to update the numbering anytime soon. As of now, their plan seems to continually update Win10 with no future major version. Probably, that is what they are referring to “Windows As A Service” model. Synaptics made an announcement during a conference where the company shared that it would work with AMD for Microsoft’s “next-gen” operating system. They are going to work together to develop a new kind of fingerprint sensor. It could possibly be the next significant Windows upgrade or Microsoft Polaris update. Update (2017): It’s not official, but it is being said that there will be no Windows 11. There are more chances that Windows 12 may be launched. In other news, Windows 10 S has been launched which will only run Windows Store apps. In a separate news, Microsoft said that Windows OS will be more of updates rather than next versions. Let’s see what’s in the future. It’s because of the following factors. Microsoft can utilize its cloud-based services to offer new features and services. Different OS requires different types of drivers and software which cause a huge pain to developers. Single and optimized operating system will cut this problem out. Single OS will improve the brand value and recall. After a while, it will improve efficiency and result in cost-savings. There must be a valid reason why the release of this Windows is postponed. Although there is no news from the company, now it is almost confirmed that Microsoft will officially announce their new Windows in the market. News and any information about the release of Window 11 make the people crazy over the world. Windows 10, at its launch time, brings so many new and innovative features in the market. But with the passage of time, those new features got old and the users want more new and exciting features. ‘Windows Redstone’ is the new project on which Microsoft is currently working on. This project is expected to be completed by 2018, and the news of ‘Windows Redstone’ doubted the release of Windows11. Microsoft representative, Jerry Nixon said that Windows 10 would the last operating system from Microsoft. This news shakes the whole world. Much more people from Microsoft claimed the same, but this story is just impossible to believe. There was news in the market which stated that Microsoft is currently working on new features and concepts of the upcoming Windows. And a desktop concept was unveiled on the web. Many new features have been discussed on the internet. There are some concepts here. Is almost confirmed that the new Windows will have the new and exciting range of fonts in it. A wide collection of fonts will be made available to the user. A new feature which allows the user to choose the color of their own choice for their Windows. ‘Quick Access’ which was also included in the previous versions of Windows. A new feature which will come with the user identification picture which will make the whole process of shutting off, restarting and sleep very easy. A new feature which will help the user to access the desktop directly will be added. 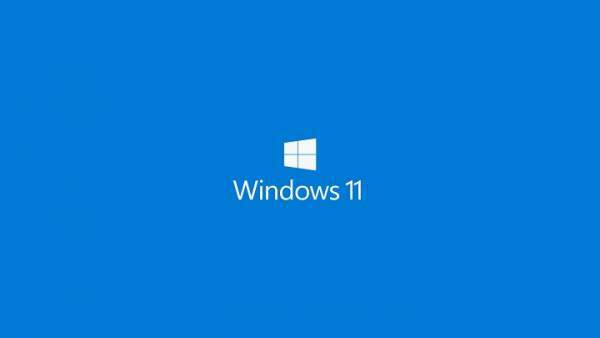 Many unsaid and unveiled features will be announced the release date of Windows 11. Wait for the launch of the Windows 11 (release date) and get ready for the new and exciting features in the upcoming Windows. Stay tuned to TheReporterTimes for new rumors and updates.